Hornby 0-Gauge • Bassett-Lowke • Hornby Dublo • Tri-ang • Trix-Twin • Meccano • Dinky Toys • Tinplate Toys • Minic • Mamod • Toy Catalogues • Railway Books & Catalogues • Eagle • & Much More! We buy and sell mostly pre-1970 toys and models, specialising in products of the Meccano company including Hornby trains and Dinky Toys. Most of the Main Sales pages were last updated on 4th January 2019. The Eagle page was updated in July 2016. The Latest Stock page was updated March 1st 2019. How to order or enquire: Please click on the 'contact' button above and complete the boxes on the Contact Form. 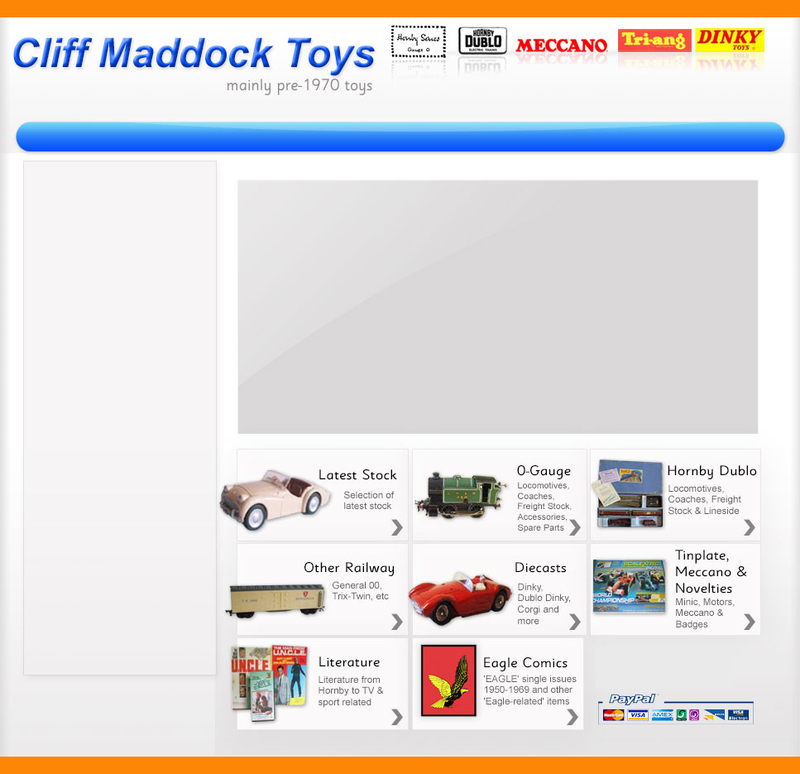 Please note there are different e-mail addresses for general toy enquiries and for spare-parts enquiries. After making your selection, please wait a few seconds for the pages to load.